Why did the Bendum community opt to have a separate ancestral domain claim? Do they have the legitimacy to claim an ancestral domain? These are some of the many questions that hounded the community during the three-year process of securing recognition for their ancestral domain. 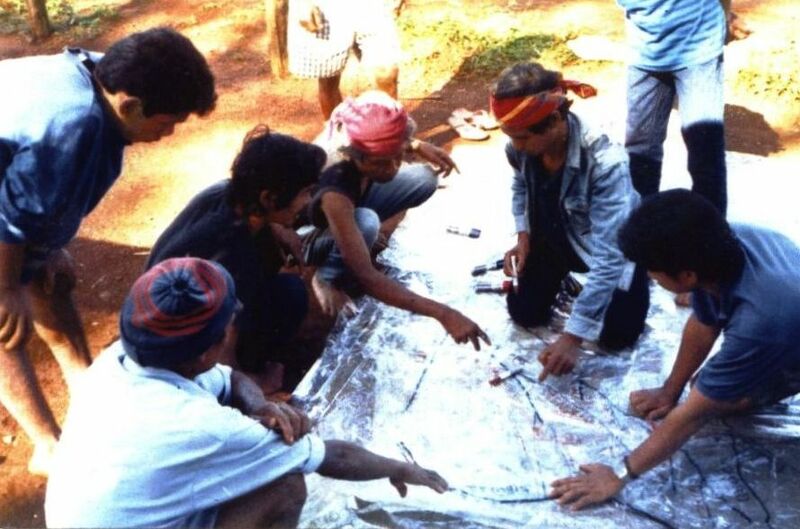 When Pedro Walpole, together with some volunteers from the Year of Service (YOS) Program of Xavier University, sat down with the community back in 1992-1993, one of the many concerns raised was the security of land tenure. However, it was only in 1995 that serious discussion and preparation for an ancestral domain claim started, and the documents for recognition were eventually submitted to the Department of Environmental and Natural Resources (DENR). At about the same time, a parallel process had been initiated by Datu Apolonio Timbangan in the nearby barangay of Kulaman, but his claim covered the whole Upper Pulangi Valley within the Malaybalay City jurisdiction. These two claims were just some of the many overlapping claims. Rather than resolving the overlapping claims, the majority of claimants and the assisting agency favored coming up with a unified claim for the valley. This put the spotlight on Bendum, for the community decided to keep its own separate, albeit smaller, claim. The Bendum community’s struggle to legitimize their claim became a story of David and Goliath, with Bendum cast in the role of David. It was, and continues to be, not an easy path for the community. The already weakened community leadership had been subjected to extreme pressure, with their legitimacy put into question; their blood relations to some extent had been denied; and their relationship to the land not recognized. The individuals and groups that filed contesting claims in the Upper Pulangi have a common ancestry. Individuals or institutions who have gained a deep historical understanding of the Upper Pulangi Valley cannot deny this fact. Technically, this common ancestry should have aided a unified claim, but it likewise gave legitimacy to groups like the Bendum community who wanted to have a separate claim. Why separate if they belong to the same ancestry? This is what Bendum failed to communicate clearly to broader society. Or more possibly, this idea is what broader society failed to understand, and worse, refused to recognize. The people in sitios like Bendum are the people who ran away from the Spaniards in Silae at the turn of the 20th century, from the logging companies in the 1950s, and from the CAFGUs and the military during Martial Law in the 1970s. This time around, the people of Bendum stopped running and hoped to withstand the pressure. They wanted to take the responsibility for managing a portion of their ancestral domain instead or relying too much on leaders of long-established settlements. Their quest for a separate ancestral domain has shown that Bendum is willing to participate in broader society. But Bendum’s move was, and still is, unprecedented. It challenged the existing political culture that sitios are subject to the barangays, a structure echoed by their leadership -a datu in the sitio is a subject of a datu in the barangay. This is the political culture that the government has affirmed and, to some extent, continues to support. Unable to gain support from Malaybalay society – government or non-government agencies, political leaders, or local government units – Bendum had to resort to other means. With the support of ESSC, the community approached DENR Manila, requesting them to consider the validity of the community’s stand for a separate ancestral domain claim. Eventually, DENR Manila acted in favor of Bendum and on June 8, 1998 a Certificate of Ancestral Domain Claim (CADC) for Bendum was released. It was a painful gain, all were hurt in the process, yet the community made sure that it did not undermine the leadership of other claimants. All they wanted was to secure their share of the ancestral domain and manage it for themselves. Being a weakened community, the struggle did not end with the CADC. Having acquired a CADC does not mean control of the domain. If it is used properly, it gives power to the community; untapped, it remains merely a sheet of paper. Now the community has to stand up and exercise the responsibility they fought for. However, the community alone cannot do it. Government and other groups have to provide support in order for the community to become productive and contribute to broader society.